Today’s generation X, Y and millennial consumers in India and across the Globe are demanding more and more from their chosen suppliers. Gone are the days of customer loyalty and sticking with the same brand year on year. Consumers choose brands that they relate to on an emotional level. What this means, consumers are not solely driven by price (if they are, Audi wouldn’t sell any cars), but on perception of value – and this is even more important post purchase, when the consumer needs to interact with the brand. It is this interaction between the brand and supplier that NovelVox are experts at. All NovelVox solutions, products and services are designed to engage the consumer in a way that cements a customer’s brand promises. According to a recent study by Cisco, a leading contact center provider, 80 percent of consumers would prefer self-service, however, if self-service didn’t solve their problem, 95 percent said they would want to speak with an agent quickly in order to resolve their issue. Please bear in mind that at this point, the consumer has already exhausted Google search and suppliers web pages. The agent that takes the call better be ready and armed with all the relevant information – if not, you’ll have a dissatisfied customer who will start to look for alternatives. The advent of the digital era has brought about a sea change in customer behavior. Technology is evolving at an amazingly fast pace in the realm of contact centers. Contact Centre is an integral piece of customer relationship management which connects customers anytime, anywhere, through any channel and on any device. Technological innovations are changing how customer service is being delivered in ways that are dramatically impacting the customer experience. While large enterprises use contact centers for their support, service, feedback and marketing functions, smaller companies use them majorly for their direct marketing campaigns. As customers are becoming more demanding, Contact centers needs to be more agile and flexible. Traditional call centers are becoming multichannel centers which integrate with CRM, workforce analytics and other solutions to deliver the seamless level of services as excepted by customers. Cloud-based platforms, real-time messaging, and teamwork tools keep agents in touch with consumers. Additionally, Omni-channel communication provides customers with a seamless experience across their devices. Contact is consistent between desktop, mobile device, telephone, or in person. Research shows companies with omnichannel customer engagement retain 89 percent of their customers. Companies with weak omnichannel engagement keep 33 percent. Furthermore, the most cost effective type of customer service is self-service. This service includes everything from video tutorials to FAQ pages to virtual agents. Today people want to solve their problem fast and don’t mind managing the process themselves. By implementing this trend, customers have the benefit of getting service 24/7. Modern innovative call centers offers comprehensive self services alternatives as well as live agents for seamless and hassle free customer services. Call centers also help companies to increase their productivity by getting direct feedback from customers by surveys and follow up calls or email. It identifies and focuses on problem areas, and thus productivity increase cost effectively. So, there is likely to be much more progresses that will further amplify the need for greater capabilities when it comes to service delivery, as well as to meet customer expectations. Therefore, we bring to you a list of “10 Most Recommended Contact Centre Solution Providers”. Being closely scrutinized by a distinct panel of judges including CEOs, CIOs, CXO, analysts and CIOInsider editorial board, we believe that these vendors will provide new solutions and strategies which will help to support businesses through innovative contact centre technology. Ameyo Bishal Lachhiramka, Co-Founder & CEO Avails Call Center Software, Cloud Contact Software, and Customer Support System. AVIS E Solutions Abhay Gupta , Co-Founder & Director Provides telecom products and comprehensive VOIP Contact Center solutions while catering to the ITES, corporate & service sectors. Bitvoice Solutions Lijo Joy , MD Offers Call Centre Solutions, Audio Conference Solutions, IPPBX, Voice Broadcast Solutions, Voice Loggers and Custom Voice Solutions. Eljay Global Manu Singh, Vice President Competency revolves around Routing & Switching, Voice Networks, Unified Communications and other IT support. IMetrix Solutions Satish Pillai, MD Delivers a comprehensive range of Contact Center solutions that include Voice Solutions and Back Office Solutions. ITG Software Engineering Rohit Sharma Head- Sales, Head- Sales Provides Computer Telephony integration products comprising multichannel contact center solutions, interactive voice response solutions, VoIP gateways etc. 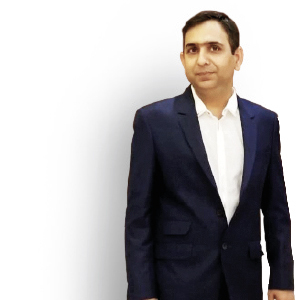 Karvy Digikonnect Lav Kush , Associate VP Enables customer lifecycle management outsourcing solutions comprising inbound customer service, retention, collection, welcome calling, complaint management, and query resolution etc. 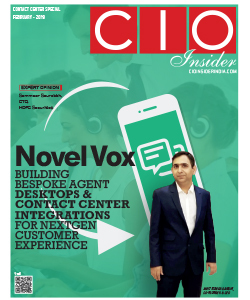 NovelVox Amit Kumar Gandhi , Co-Founder & CEO Designs Contact Center Agent Desktops and Wallboards for various business verticals such as Banking, Telecoms, Logistics & Travel, Healthcare, Government, Education and Retail. Ozonetel Communications Atul Sharma , Co-Founder & CTO A Cloud Telephony solution provider rendering call management tools, analytics tools to monitor and track customer interaction. Teckinfo Solutions Nalin Mital, MD Expertise lies in designing & implementing contact centre solutions, CRM, messaging, help desk & communication software and operational & support services.